The title from this issue of Foreign Affairs struck me as rather odd, in particular the subtitle "New Challenges Call for New Policies. Are the U.S. and Israel Ready to Change Course?" (September/October 2010) The U.S. has been trying to remake the Middle East for quite some decades now as it gradually took over the role of the British and French as the local imperial power. The first article "Beyond Moderates and Militants - How Obama can Chart a New Course in the Middle East" struck me as a non-starter as Obama has done nothing to do away with Bush's heritage and has extended it further east with another surge into Afghanistan and incursions and covert actions into Pakistan. The authors introduce Obama with what I perceive as an error in that "the Obama administration has rejected"the worldview of the Bush administration." 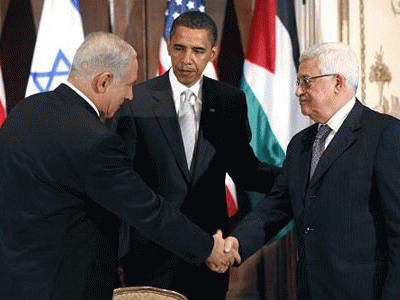 Perhaps rhetorically with vague talk about change and hope, neither of which offer any practical solutions, leaving Obama's actions to speak for themselves: unconditional support for Israel; kowtowing to AIPAC; supporting military occupation as a theoretical means to bring peace into the region; and basically not challenging any of the previous actions of the Bush administration. His appointees in a variety of positions within the executive are mainly from the previous Bush and Clinton administrations. Much of the article emphasises the Palestinian/Israeli problem. This "resumption of crises in the Persian Gulf, Lebanon, and between the Israelis and the Palestinians prompted an ongoing, persistently vicious, and periodically violent renegotiation in the balance of power among nations"and within nations." There is much to argue with here. There has been no resumption of crises as it has been ongoing for decades and the "vicious and violent renegotiation" rises almost entirely from Israeli contravention of international laws of all kinds with U.S. support ideologically, financially, and militarily. This is combined with U.S. vicious and violent actions in pre-emptive wars in the region very similar in nature with regards to international law as the Israeli actions. That context is missing. The article argues on, coming to a mid-point conclusion that Obama is pursuing policies that, "had Bush implemented them during his administration, may well have worked." That is a rather bizarre argument as Obama has not changed the U.S.' military or economic posture in the region, only the rhetoric. Following that the authors say the U.S. "risks making vital policy adjustments only after it is too late." Adjustments? Such as removing the military from the Middle East? Israel's "undeclared nuclear program, foot-dragging approach to peace, and often single minded reliance on military means to resolve conflicts are hard to reconcile with Obama's intention to restore [U.S.] standing in the Arab and Muslim worlds." The rhetoric may well be working, as people generally do want change, but U.S. actions, which have been pretty much identical to the Israelis on the military side, do not support the supposed benevolence of Obama's words. The article to its credit does at least recognize Israeli intransigence and the "one dimensional approach" used by the west, and it recognizes the contradiction about the U.S.' "promotion of liberal values [as] a pillar of Middle East policy" at the same time "trampling the very principles underlying that vision." U.S. history is filled with good intentions (rhetorically) and murderous deeds in foreign countries. It also recognizes that with its military and economic power the U.S. "still enjoys veto power over virtually all significant regional initiatives," but some of those regional initiatives - Iran supporting the Shi'ites of Southern Iraq, Hezbollah gaining and so far maintaining a degree of political power in Lebanon - have not exactly worked according to U.S. desires. The nuclear issue receives brief comment without discussing the overwhelming predominance of Israeli nuclear power under its official policy of maintaining ambiguity by not stating anything. There really is no ambiguity, but by not stating that it has nuclear weapons, Israel avoids all sorts of political posturing that would be necessary in its rhetorical arguments about peace, freedom, democracy, equality, and its position as the underdog victim in the region. It also avoids coming under attack for having double standards vis a vis Iran within the context of the NPT. Finally the article settles on the idea that the U.S. must "grasp the necessity of including new regional actors to help achieve what is now beyond the ability of Washington and its allies to do on their own: giving legitimacy and credibility to an Israeli-Palestinian accord." Obama will have to "go further and close the book on the failed policies of the past." This of course contradicts the statement about having veto power over regional initiatives, but ignoring that for now, there is little discussed about what the alternates to the reality of the failed policies could be. So many have been offered here and elsewhere, yet the authors seem reluctant to address the various alternate solutions as to their chances of success or not. If it is beyond the ability of Washington to be successful what are the alternatives? Getting out of Iraq, Afghanistan, and Pakistan, and stopping military and financial support for Israel would certainly change the U.S. policy in the region. Stop threatening Iran indirectly with the "all options" phrase used so often in current political discourse, threats contrary to international law. Or perhaps least likely, the U.S. and its allies - Great Britain and Canada in particular - could step up and announce a credible Israeli-Palestinian accord that recognizes the true nature of the Israeli occupation of Palestinian territory and, combined with military and financial counter-actions, pressure the Israelis into accepting a rational settlement with a functioning contiguous Palestinian territory as a neighbour to a democratic Israel. That alone would settle much of the discord in the region. It is within the realm of the possible; unfortunately maintaining course, maintaining the status quo seems to be the path of least resistance for the U.S. - and unfortunately serves Israeli interests all too well as they slowly take in more and more Palestinian land. Are they ready to change course? Short answer, no. They have neither the moral courage nor the humanitarian instinct to do so.